Wearable Computing, 3D Aug* Reality, Photographic/Videographic Gesture Sensing, and Veillance, as published in ACM Digital Libary: link. Wearable computers and Generation-5 Digital Eye Glass easily recognize a user's own gestures, forming the basis for shared Augmediated Reality. This Studio-Workshop presents the latest in wearable AR. Participants will sculpt 3D objects using hand gestures, print them on a 3D printer, and create Unity 3D art+games using computational lightpainting. (found a camera hidden in the right eye of a cute stuffed animal) and visualize the veillance flux of the cameras using 3D AR. 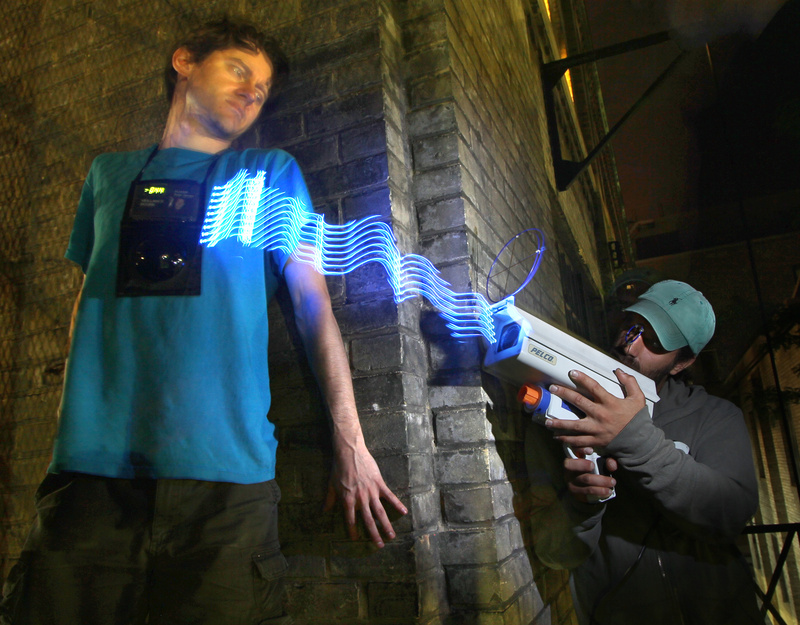 Abakography (3D computational lightpainting) for the visualization of sound waves, radio waves, and surveillance flux (sightfields) using surveilluminescence (lights that change color when they are being watched by a camera).